Ibrox Noise: Close to done deal: Who is Connor Goldson? 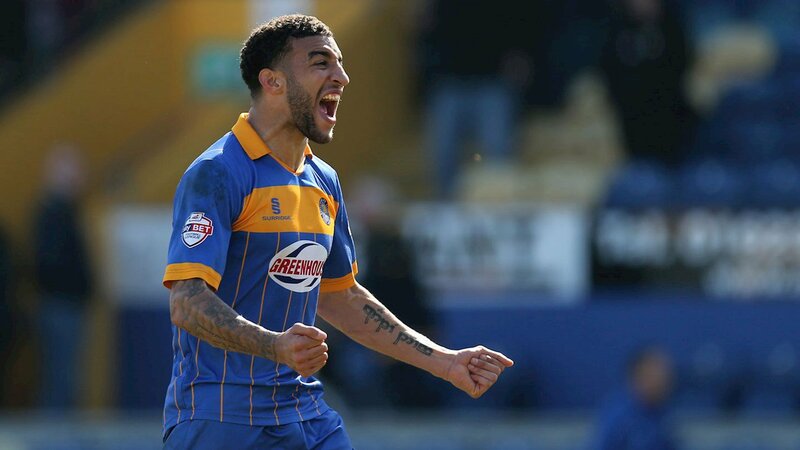 Close to done deal: Who is Connor Goldson? Information breaking today confirms Rangers are on the verge of making our second signing from Brighton in a month with the £3.5M capture of 25-year old centre back Connor Goldson. We’ve been discussing him on Ibrox Noise for a while, and now it seems the English stopper will become Steven Gerrard’s fourth signing as Rangers manager. So who is Connor Goldson and why do Rangers want him so badly? This 6ft 3 colossus has had a fairly inconspicuous career, spending half a decade at Shrewsbury before getting the switch to Brighton – there is a huge feeling Goldson would have amounted to more than he has thus far if not for a health issue a year ago which sidelined him for essentially 12 months and effectively derailed progress, but having recovered, found it a struggle to regain his place and sees his future elsewhere. Highly-rated indeed, he is one the supporters don’t really want to lose – despite his inability to hold down a place right now, he is a ‘squad’ player who is much better than that and should really be in the first team. Known for his aerial prowess both defensively and at attacking set pieces, Goldson has outstanding composure on the ball and is even adept at filling in at defensive midfield or full back, albeit his primary role would clearly be at CB. He is also extremely strong and uses his physique well. Think the style of Carlos Cuellar and we’re on the same page. Indeed, Shrewsbury fans voted him their top defender of the past decade, which shows the esteem they hold him in. This signature would be a very wise one – a player who really is capable of more than he has been allowed to deliver, and while he would be the most expensive signing since Nikica Jelavic, it does seem he would be worth it. Brighton fans are incredibly reluctant to part with him, with superlatives ringing out about him – if Allen and Gerrard can get this one over the line, Rangers might just have a CB worthy of the shirt at long last. BB drugs are bad for U!!? Sad day for me as a Brighton supporter.... but we wish Connor Goldson well - and at least we do not have top face him in the opposition ranks! I think this lad could be a really good signing he has showed enough to make me look forward to seeing him in the Blue he has played at a good level . We now need another to match up with him. £3.5 seems good business considering what is going on in the English Market . I'm sure we will be raising in sales cash for what we can for those who will be leaving . Good Signing . I know absolutely nothing about him. Haven’t heard the name before to be honest. Have read some comments from respected sources saying he has all the attributes to be a top CB. Like everything else, that remains to be seen but he could become a valuable asset worthy of making us money in future...but at £3.5 + wages that could be a big ask. Time will tell, got to trust the manager though. 3.5 Million for an unknown who has had heart surgery? Massive gamble! I'm not impressed with the names getting banded about at all! Why is it the beggars can get players for buttons, but we buy hasbeens and wannabees for millions, and still come 3rd in the league, ffs!!! Lots of time left, I know, but we will not challenge the beggars with the average players that your suggesting! 3.5 million,,give me a break!!! Johnny Evans is available for 2 installments of £1.75m, how are we not all over that?